People feel anxious when their mobile batteries start to get low. It can feel like being cut off from the rest of the world. Anytime you expect to be away from electrical outlets for more than a couple of hours, that can create some uncomfortable problems. 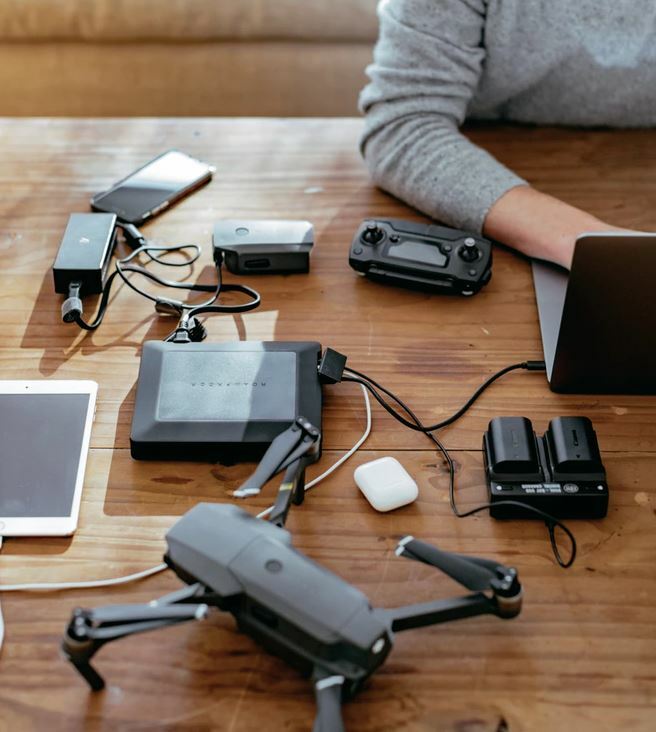 Having a portable power station around can help alleviate the situation because they allow you to carry around an almost bottomless well of power. Or at least, that’s one possible outcome. If you’ve ever purchased disposable batteries from the store before, then you probably know not all batteries are the same quality. Some run out quicker than others, some are built better than others. If you’ve been unlucky, you might even know that poorly made batteries can be a safety hazard. 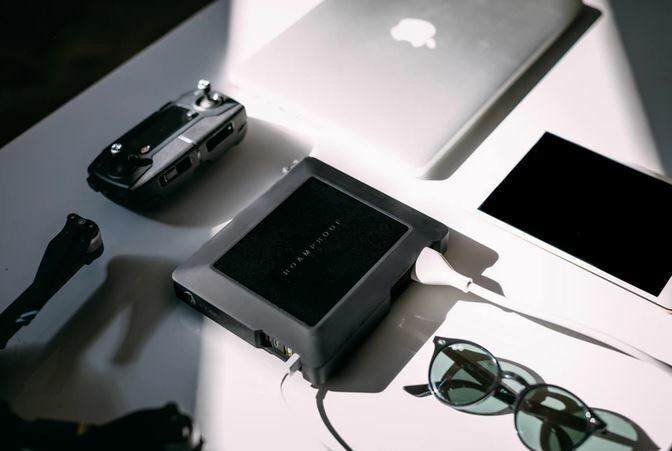 Finding the right portable power station isn’t only about safety, it’s also about the longevity of the battery, its adaptability to new circumstances, and of course the total capacity. With so many different requirements in play, it can be tough to find anything that’s worth consideration. The PWR27 is a power station specifically designed for traveling. 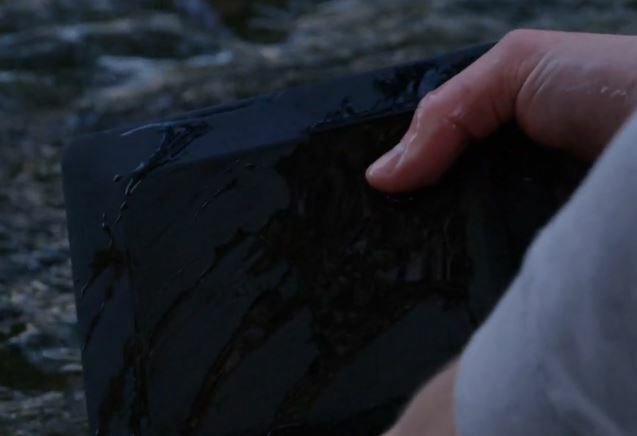 That should be pretty clear from the extra-rugged design of the device. If you were taking this power station no further than your living room, you wouldn’t need anywhere near this kind of quality of construction. The travel oriented nature of this device is reflected in the capacity of the battery, too. It has an even mixture of indoor and outdoor features, which actually makes the PWR27 fairly versatile. When you’re using it indoors, it’s easy to appreciate the power capacity and multi-charge performance. But when you’re outdoors, the PWR27 takes on a totally new nature. That’s when you’ll get the most use out of the onboard flashlight, and the built-in solar paneling. It’s pretty compact considering all the power inside, measuring about 6.7 x 5.7 x 1.3-inches. Though it’s considerably thicker than a smartphone, it otherwise compares favorably. Furthermore, the chassis of this power station is IP67 waterproof protected. It’s actually the first to device with this particular certification to also include an AC outlet. 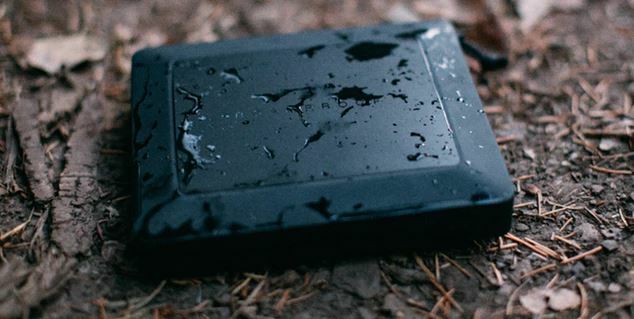 The IP67 certification is near the top of its class, but it only indicates this pack would survive momentary submersion. So you don’t want to go dunking your battery into a pool. Held in your hands, it feels pretty portable in your hands, though the fact you’re carrying such a bulky battery means it also feels hefty. It’s slightly over a full pound, which coincidentally feels like a stack of smartphones piled together. Like many similar power packs, the PWR27 can be used as a small flash light. The flashlight LED can be used in an eye-catching strobe light function, as well. But when you’re trying to find something in the darkness, it never hurts to have an extra light. It certainly works better than trying to illuminate things with your smartphone’s screen. It’s not a true emergency light, however. It can’t become bright enough to illuminate great distances, only a couple of feet around where it’s pointed. Along the edge of the device, you’ll find a string of white LED battery indicators, and a single green solar indicator. On each end of the battery indicators, there’s a power button, the 4-in-1 LED, and a 120V A/C outlet. Roamproof also allows the PWR27 to be used with a 240V international socket, for people who happen to be traveling abroad. Next to those connections, you’ll find a pair of USB-C slots and a pair of USB-A slots. The USB-C slots operate 3A each, while the USB-A slots carry an almost equally impressive 2.4A. For quickly charging your mobile devices through USB, you can’t ask for better. And pass-through charging allows for more than five devices to be connected at once. 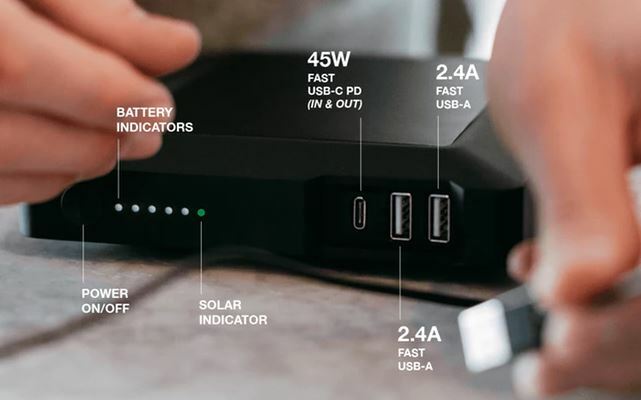 Over the past couple years, it’s become quite common for power banks to support the ability to attach a solar panel. But typically they require you to include your own paneling, or buy paneling separately. 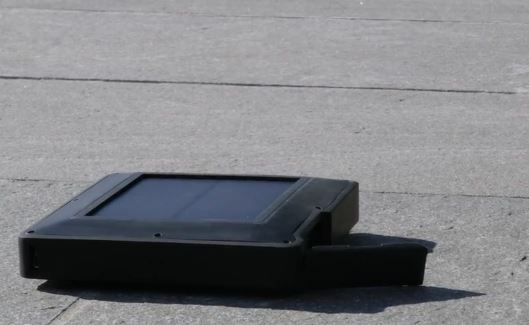 By contrast, the entire topside of the Roamproof PWR27 was built with its own sizeable solar panel, capable of providing a 500-mAh/h charge. To put that in perspective, it would take more than two full days to recharge the PWR27 from empty. In some circumstances, that’s not that bad. If you’re not tearing through the charge of your phone, the PWR27’s solar paneling can actually provide a greater battery capacity than it initially appears to provide. Because even two hours in the sun would refill your battery slightly. 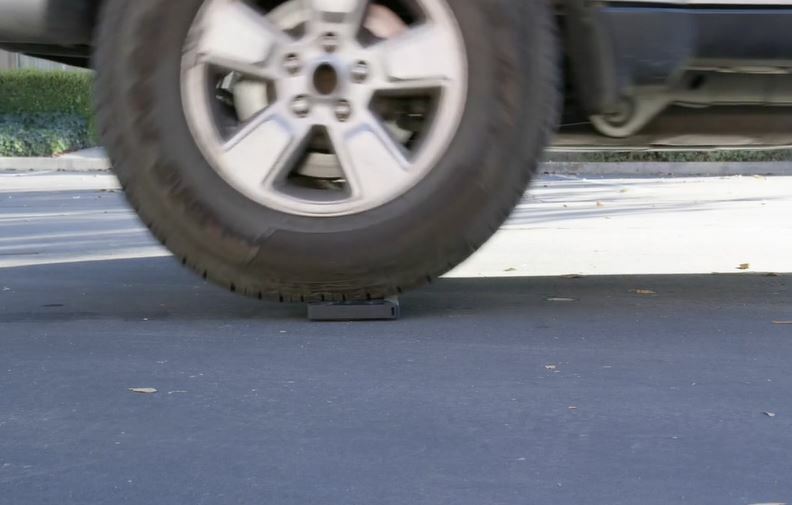 Additionally, the PWR2 is drop-proof up to 1,000 feet. It might interest you to know that reaching terminal velocity would require the drop to be closer to 1,500 feet, so this unit isn’t unconditionally drop-proof. If it falls out of a window on the second floor of a building, you’re going to be okay. If it falls out of an airplane? Not so lucky. It’s also protected against crushing forces, allowing it to withstand about two tons of force. But it would probably be unwise to take a hammer and start smashing your power supply. Because these lithium-ion batteries are basically small bombs. They contain an enormous amount of energy inside of them, which is why size limits have been imposed for air travel. That’s also why it’s a good idea to have layers of extra protection, even for people who don’t necessarily plan on taking their power supply into rugged terrain. 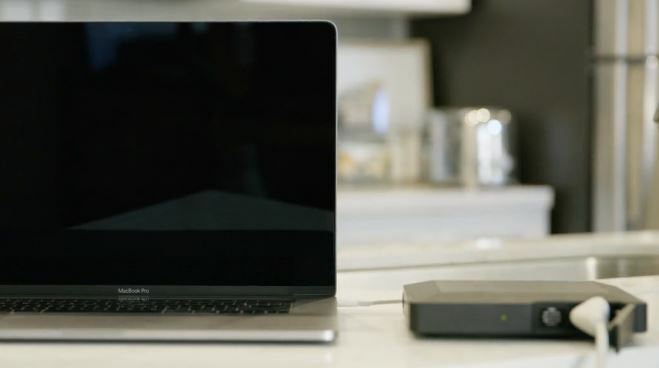 The PWR27 is constructed with premium power management protection modules, stable lithium-ion LG cells, an advanced 7-layer heat management system. All of that is built around a very large 27,000-mAh battery. This is actually the largest battery you’re allowed to carry onto airlines by the TSA. It scrapes in just under the 100-wH limitation. How many times can you recharge your devices while using that battery? You’ll get about ten recharges from an iPhone X, or about 50 recharges from over-ear headphones. When you’re using a DSLR battery, you might get a dozen charges. And when you’re using a console like the Switch, about half a dozen charges. It really depends on the size of your device’s battery. In order to charge up the PWR27 in a timely manner, you’re really going to want to use an AC socket. It’s possible to recharge the PWR27 using a USB cable, but it will end up taking nearly an entire day. Using a wall socket, it’s possible to refill the station in only a couple of hours. Pretty similar to the kind of time required to refill one of the better smartphones on the market. Standby time is a couple of weeks, which means the PWR27 isn’t exactly ready to provide power for someone’s doomsday bunker. If you were looking for emergency storage, you’d probably want your batteries to be able to last several months without supervision. But for people concerned about brief power outages, the PWR27 can certainly handle those kinds of issues. The Roamproof PWR27 has a charge cycle lifespan that’s just above 1,000 cycles. What that means you’ll be able to empty and refill the battery about a thousand times before you need to consider replacing the unit. Of course, batteries have decreased performance over time. What begins as a 27,000-mAh battery can perform like a 24,000-mAh battery after only a single year of steady use. That decay only continues over time. Roamproof estimates the end of the road is about 1,000 cycles. That isn’t such a bad estimate, but it does partially depend on how well you treat the equipment. It may also be worth noting that’s nearly twice as many recharge cycles as most lithium-ion batteries. Because the PWR27 was made with ultra-stable LG cells. Even if you filled-and-emptied this power station every single day, it would take about three years to reach replacement. For people who aren’t involved in that kind of frantic usage, it would be easy to predict five years of persistent use. Sometimes, these power stations are designed so you can store their charging cable along with the unit. Unfortunately, that’s not the case here. That’s a fairly minor criticism, especially given the solar nature of this device. Additionally, Roamproof isn’t going to provide you with an AC cable. If you don’t want to use USB to recharge, and don’t want to be dependent on the solar panel, you’ll have to dig up an AC cord on your own. 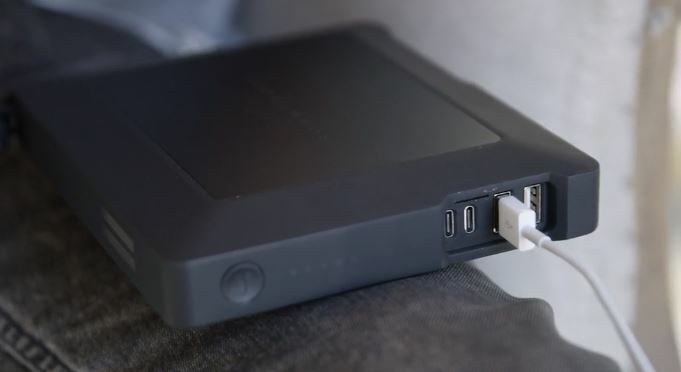 The PWR27 does include an international modular wall charger and a USB-C charging cable. 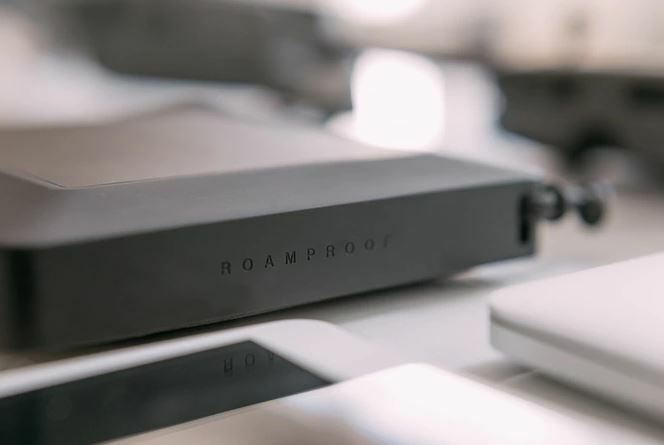 Roamproof also includes a two-year warranty. That’s actually a little surprising because most power banks tend to offer a one-year warranty. The greater warranty isn’t something to over-evaluate though, because if you don’t encounter issues immediately, you’re unlikely to encounter defects in the days that follow. Who Should Choose the Roamproof PWR27? What really makes the PWR27 special is the built-in solar panel. Even if you’re unable to make good use of the solar panel, effective waterproofing combined with an AC socket will ensure the PWR27 finds many fans. For people who can use these types of strengths, it’s hard to find anything to accurately compare to the PWR27. If you’re unable to make use of that solar panel, then the PWR27 makes slightly less sense. If you can’t use the panel or the waterproofing, you’d certainly be better off choosing a mainstream power supply, right off the shelf. Less interesting power banks will be able to cover your needs, and with marginally less cost. But if you can make use of its special features, you’ll find the PWR27 is quite well rounded. The almost impenetrable casing makes its highly protected against almost all kinds of impact. It’s not going to be tough to get this equipment to reach the end of its lifecycle. Which makes it easy to recommend the Roamproof PWR27 to almost anyone who’s going to be using their power station outdoors.